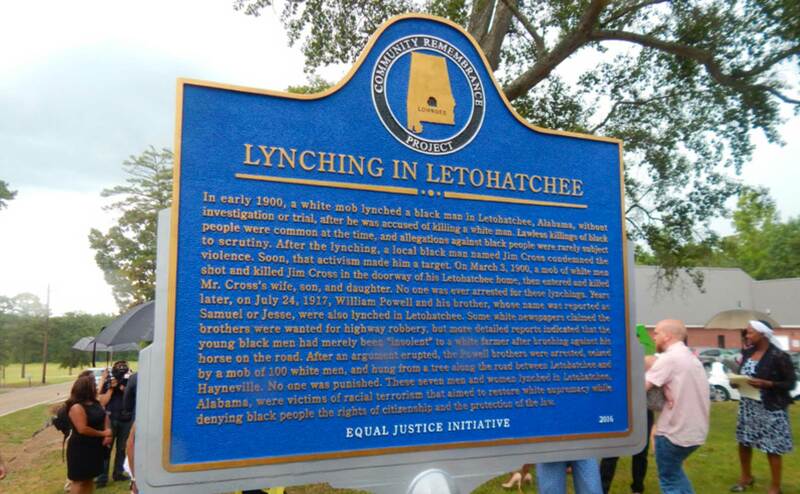 "More communities throughout the country are joining with EJI to participate in our Lynching Marker Project. The project is part of EJI's effort to recognize the victims of lynching by erecting historical markers that acknowledge the horrors of racial terror lynchings. EJI believes in the power of "truth and reconciliation" to address oppressive histories by helping communities to honestly and soberly recognize the pain of the past. As more communities join in this effort to concretize the experience of racial terror through discourse, memorials, markers, and other acts of reconciliation, more are overcoming the shadows cast by these grievous events."